PowerIsolator 8 shares technology with the ultimate PowerIsolator MM in a convenient multi-outlet configuration that includes surge protection and noise filtration for all outlets. 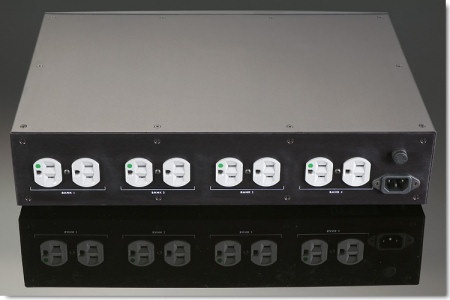 8 high-current, grounded, noise-isolated USA or EU outlets or 7 UK outlets. 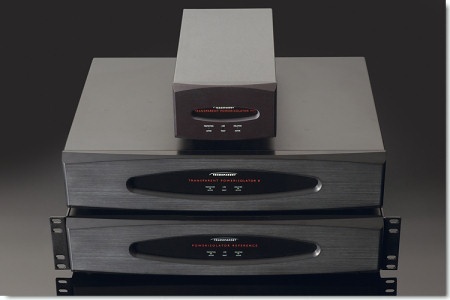 4 separate noise-isolated banks for all types of components including power amplifiers. Upgrade performance by plugging in only 1 component per bank. Free-standing or rack-mount operation (rack mount ears included). 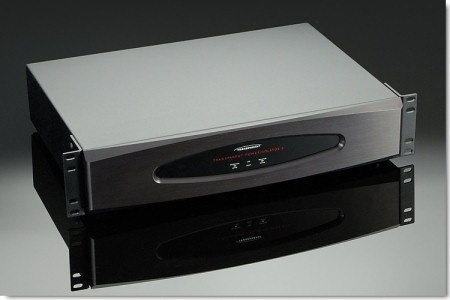 Hefty aluminum chassis with internal epoxy damping provides a stable and quiet structure to house the delicate noise filtration and surge protection circuitry, thus further lowering the noise floor. Circuit layout enhances electrical isolation. Detachable high-current PowerLink Plus power cord. 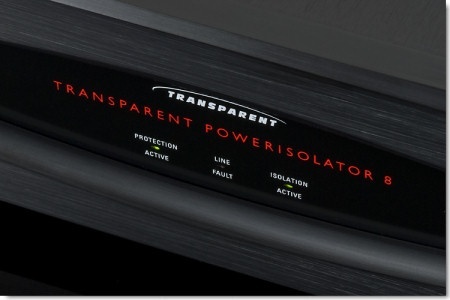 Replace PLP power cord with a higher-performing Transparent power cord for an upgrade. Choose PowerLink Plus power cords or better for connected components to provide the full benefits of PowerIsolator 8 performance. 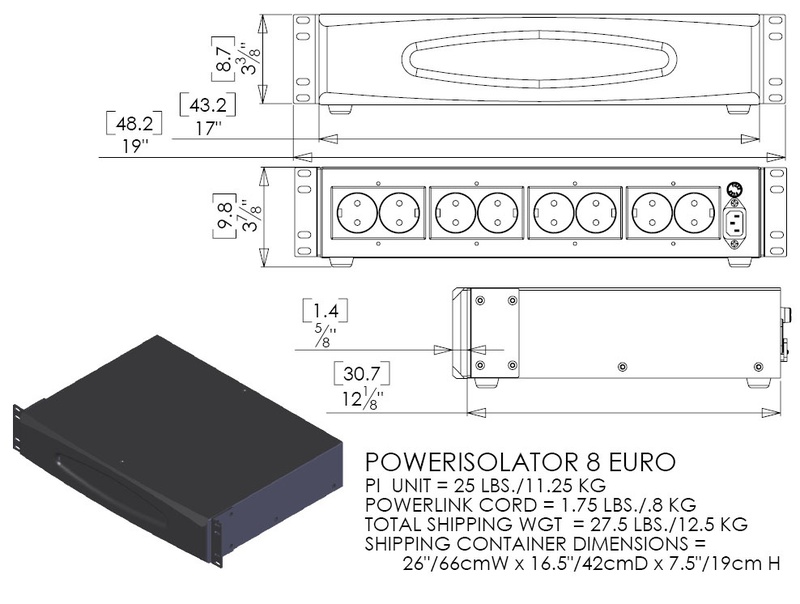 Available in versions for USA, UK, EU, and other power applications.